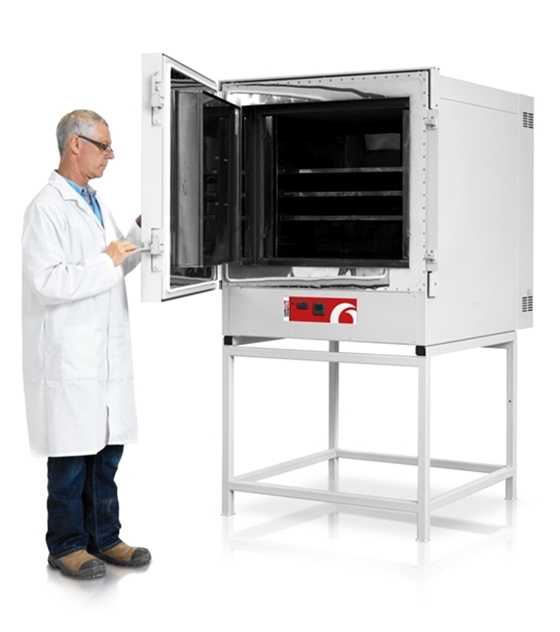 The Carbolite HT High Temperature Industrial Ovens are manufactured in 4 standard chamber sizes with maximum operating temperatures of 400°C, 500°C and 600°C. Their robust construction incorporates heavy duty hinges, door catches and shelving systems. This range also provides a foundation upon which a wide range of custom modifications can be added. Typical examples of which are the more sophisticated control systems and data recording that is required for applications such as AMS 2750E heat treatment under Nadcap, or modifications to handle heavier loads or assist in loading and unloading the oven, or simply larger chamber sizes than are offered in the standard range.